Elvis Presley called Roy Orbison "The man with the angel's voice." 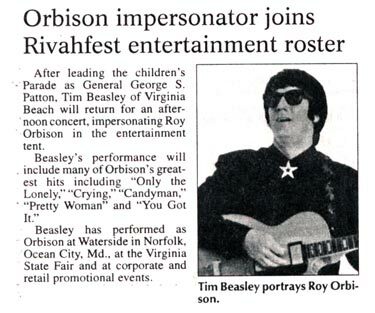 Roy Orbison left this world much too early as many of the greats do, but when Tim Beasley performs the hits of the original "Man in Black", you'll think the "Big O's" returned on his Harley from Rock N' Roll Heaven! 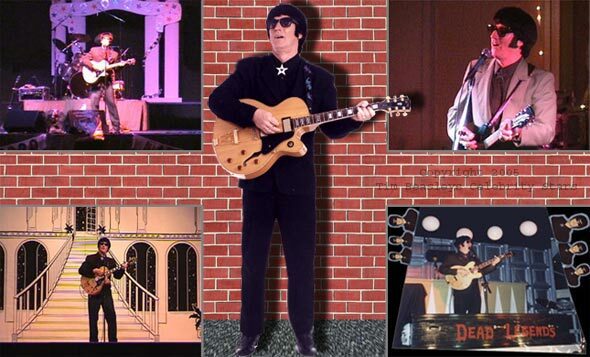 You and your guests can enjoy an intimate Roy Orbison experience with Tim faithfully reproducing the solid gold songs "Only the Lonely," "Crying," "Candy Man," "Dream Baby," "Pretty Woman," "You Got It" and more! National music video with LA based band, "Miss Derringer"